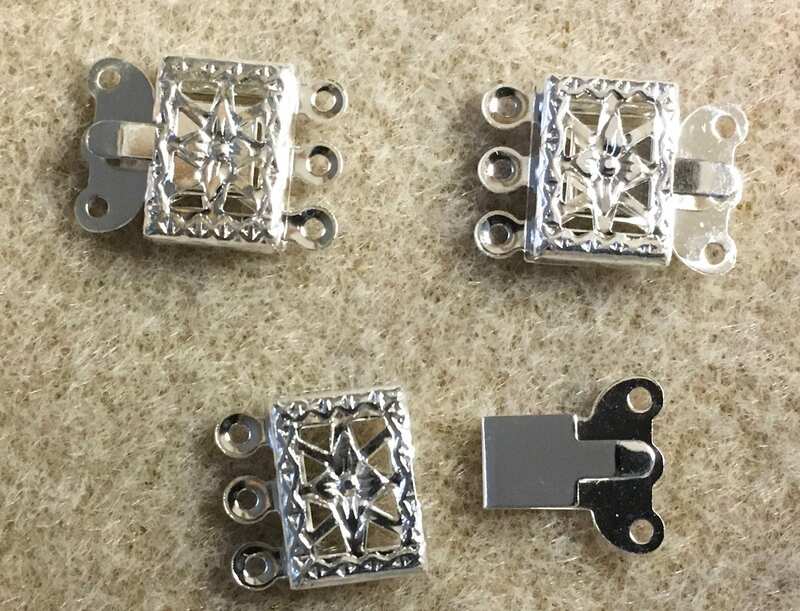 Pretty silver plated filigree brass 3 strand box clasp, vintage style clasps. Great for pearls, too. You will receive 8 clasps.